All those years ago when I was a child and I wanted a pet so desperately - a dog, I'll admit it, I wanted a dog - I never thought about what having a pet, a dog, meant. Not beyond the love and affection, and the bond I knew I would have with my dog. I didn't know about the human-animal bond (few folks did way back then, before there was toothpaste or electricity - you know I'm joking about that part, right? ), and I assumed we'd feed the dog whatever dog food was available at our local supermarket. I think it was IGA. Time goes by. We live. We learn. I am openly studying the human-animal bond now, not just between dogs and people but between all pets and all people. And, I know a lot more about good nutrition. But wait, she said, as if doing a cable TV sales commercial. There's more! What about all the other products folks buy for pets? Oh, seriously! Back in those childhood days I never...never...NEVER considered buying toys for my dog! The dog I didn't have but wanted so desperately. Even when I got a dog, I didn't think about toys! Or, treats. I mean, treats? Little bits of my dinner were treats enough! What about veterinary care? Other than rabies shots, I didn't think about veterinary care. Distemper? Never heard of it. Nails being clipped? Really? Who did that? Baths, grooming, TEETH CLEANING??? I'm sorry - wait, no I'm not. I didn't think of those things because... neither did anyone else. We're talking 1962ish, here. I suspect some of my ignorance was built on lack of education. Where would I learn about all of that, except at my vet's office and we never went there. Not more than once a year for that regular checkup. Maybe we didn't even go that much. Maybe it was once every three years for the rabies vaccination. I wonder now how my vet stayed in business. Because we were not different than others, we were the same. Animals, pets, were not things you spent money on if you didn't have to. 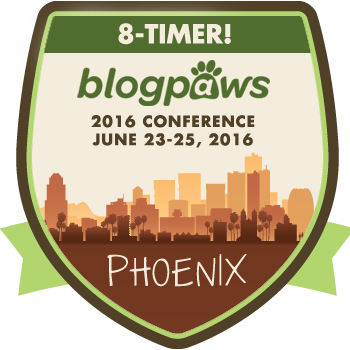 I see all of my BlogPaws friends shaking their heads, insulted at my title: Do dogs think like we do? Do cats? After all, we know the answer is a resounding YES! Do Dogs Think About and Plan For the Future? It comes from Psychology Today. A worthy tome to read and discuss. Stanley Coren PhD., DSc, FRSC, wrote the article. Not sure why he needs all those initials after his name, but, apparently he does. I don't even know what the last seven are all about. My experience with trainers and veterinarians and such is that they have been taught that dogs do not understand past, present, and future. Wait, they do understand present, but that's all. A dog, I've been told and read in scholarly magazines (veterinary and such), lives for the now. A dog cannot anticipate a future event or occurrence. Unless we're talking about the way they drool at the sight of the cookie you're holding in their hand. Surely they are anticipating the deliciousness of said cookie, if only they can convince you to share! The question is - do dogs understand the concept of time. I don't think they do. Not the way we understand it. Do they anticipate the future? I think they do. It's not a 'time' thing, however. Time, as everyone knows, is a human construct. It doesn't actually exist. We created it to manage our little lives. Other creatures, intelligent creatures, like dogs, have no use for time, in the linear sense of how humans understand and use it. And, I say, good for them! What about the human animal bond? Does that fit in here - since that's the underlying focus of Scratchings and Sniffings. Yes, it does. I think the human animal bond is a vital part of this discussion. Everyone is getting on the pet band wagon, these days. Pets are in the news routinely. Our local news, all stations that I've watched, feature an adoptable dog or cat at least once a week. I applaud them. It's wonderful to see folks gush over a cute dog on TV and offer it for adoption from a local shelter. And cats, they need our help the most, I think. Fewer cats get adopted than dogs. Just last week I received an email from Jonathan at the American Institute of CPAs. About pets. About the cost of pets. And a survey they conducted about the cost of pets. How interesting! In my exploration of the human-animal bond, I have to admit, I've only given the cost of having pets a cursory mention, here and there. I know the cost. Our local shelter actually asks folks what they think the yearly cost of having a pet is, and I always answer $1500. The survey mentioned here discovered the yearly cost is around $1560. Ha! I was so close! And, that's just what we spend on "routine care", which the survey indicates includes: feeding, grooming, and scheduled visits to the vet. I'm not really happy with their overall tone, to be honest. The human-animal bond is complex, multifaceted and often a matter of the meaning we bring to our relationships with our furry friends. Often this bond is framed through the language of the heart and soul – love, joy, non-judgement and interdependence. We often talk about the health benefits that our pets contribute to our lives, or ponder the precise location of this bond – both worthwhile explorations. Certainly, one aspect of the human-animal bond can be understood through the lens of the interplay of social animals that happens via communication. The different languages we speak may be part of the mystery and wonder that happens when we make close contact with other species. Discovering each other is no doubt fueling a curiosity and fascination that serves to build our bonds. Positive training methods are a way to improve the communication we have with other animals by giving us tools that translate across the species divide, in particular, the role pleasure plays in structuring our experience of the world and the way we learn. It’s not just providing them with the right dog food and thinking your job is done. This article will investigate how modern training methods can expand the human-animal bond by creating a shared language of positive reinforcement and validation that, contrary to popular belief, is a two-way street. "Is there a mouse in there?" I talk a good bit about dogs, but I love cats, too. I miss our Molly awfully...and I dream of adopting another cat, soon! This post about common cat diseases struck me as important in the whole 'human-animal bond' discussion. After all, caring properly for our pets is job #2, isn't it? Job #1, of course, is loving them unconditionally. It's very upsetting when a pet is sick. The most disturbing thing is not knowing what exactly is wrong, not knowing how to help your furry little friend who depends on you. Cats are more subtle about expressing themselves than dogs, so you'll have to pay very close attention. Your cat may not be able to tell you if she is not feeling well, but an observant pet owner can tell if something's wrong. For starters, a cat's first instinct on being ill or injured is to find someplace quiet and secluded to hide and attempt to sleep it off. Know your cat and you will know what will be unusual for that particular pet. If a usually cuddly cat starts to avoid others or a usually independent cat becomes clingy, something is wrong. Heightened aggressiveness or lethargy are both extremes that may signal an underlying disease. A common symptom to the worst cat illnesses is either excessive drinking or not drinking. Pay close attention to changes in appetite and litter box habits. Cats generally love grooming themselves so if your kitty is looking disheveled, there's something wrong. If your cat is paying excessive attention to one area while grooming, it may be because they have pain in that area. The note mentioned a man who was out doing what so many of us want to do, but can't - for whatever reason. No judgement. The note said, "Meet the man that has changed what it means to give a second life to animals who never had a chance." I hesitated. I hesitated because I feel the pain and anguish of people, pets, even trees, when they are being abused or neglected, or worse. I feel it in my soul and it hurts. But, I had to read on. I had to learn about this man, this man called Marc Ching. Marc is the founder of The Animal Hope and Wellness Foundation, a non-profit organization that is set on a difficult, but rewarding mission of rescuing abused and neglected animals, providing full rehabilitation services, and ultimately, working towards the main goal of helping find a fur-ever home. More than one million fans follow Marc’s incredible journey to saving these innocent animals. Being an animal activist, Ching has been featured in some of the top media outlets, including, CNN, CBS News, The Huffington Post, Buzzfeed, The Dodo and more. As a 4th generation Japanese herbalist and macro-biologist, Ching has found the secret to revolutionizing animals through eastern medical methodologies and homeopathic healing at his PetStaurant operation in Southern California. Let's talk about the Animal Hope and Wellness Foundation. The big part that hit me when I was reading about it is the part where Marc travels to China and Korea to save dogs from the meat trade! That's my question today: where does the human-animal bond sit? Let me explain. If we believe in the human-animal bond, and that its presence in the universe is vital both to the quality of life and health of each being (humans and animals), might this bond be a tangible thing that sits... in our hearts, in our souls, in our brain? I don't know. I often think it's in the eyes of our pets, but then, I think it must be somewhere else. I got to thinking about this the other day. Seems to me we are rather cavalier about the phrase human-animal bond. We who believe in it and who talk about it, think of it as a real thing, a tangible thing, if you will. It's as if it's something you can hold in your hand. It's something, we believe, you feel with your whole heart and soul. It's as important as air and water and the love we give and receive from human family members. Our Emily is an only child now. She came to us when we had her best of friends Chester, and we added little Olive and then we added a cat, Molly, and our household was full of life and fur and delight. One by one, Emily's friends left her for the Rainbow Bridge. No one mourned more than she. With each passing, Emily became a bit more solemn and quiet and contemplative. There are days now that Tom and I believe she is channeling one or the other of the pets who have gone away. And, when I mention Chester, or Olive, or Molly, she looks at me as if waiting for me to tell her when they will be back. She has not forgotten them. I know most people think animals form only "immediate" bonds, meaning, they don't know past or future. But, I disagree. Emily does remember. Not, perhaps the way we remember - she doesn't know we lost our Chester at the old house, three years ago. She only knows he's gone. She doesn't know what we will be doing tomorrow and I agree, she doesn't think a whole lot about tomorrow, but the minute tomorrow arrives, she will be hoping for a walk and she already knows which path she wants to take. She thinks about those things. I am certain of it. Hello - we're running a contest at Tuft + Paw to find a beautiful, affordable, and sustainable cat bed design. Would you mind spreading the word on your website or blog? 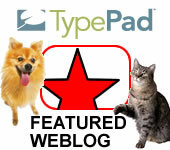 Here's the link: https://www.tuftandpaw.com/pages/sustainable-cat-bed-design-contest. At first, I thought, "no, i don't want to do this" but after a bit, I knew I had to. After all, they nudged me, nicely, and when I saw what it was, I loved it. Yes, they will be sending me a free cat bed. So, I am sort of being compensated. But, the real purpose here is to give my cat friends and designer friends a chance to be part of this contest. I think it's pretty worthwhile, don't you? I don't currently have a kitty. Most of you know we lost our beloved Molly a few months ago. Her cat climbing tower still looms in the kitchen, I don't have the heart to move it. Sometimes I picture her there, as she used to be, reaching out for treats. And sometimes, I picture a new kitty there. Will the new kitty like the climbing tower - or feel slighted because it belonged to a different kitty before her (or him)? I don't know. We'll find out, this winter, I think.